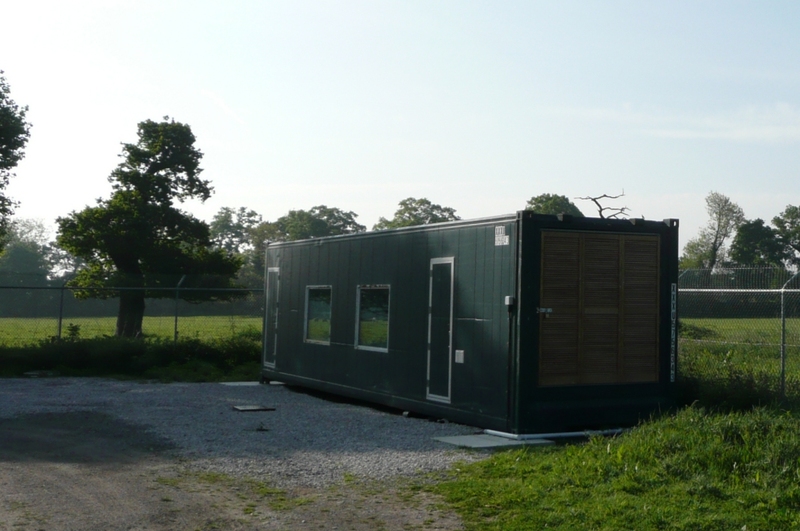 mobile and made to be easily transported, so they can be delivered ‘ready-to-go’ to a point of use, or if need be, relocated from one site to another (try doing that with traditional construction!). 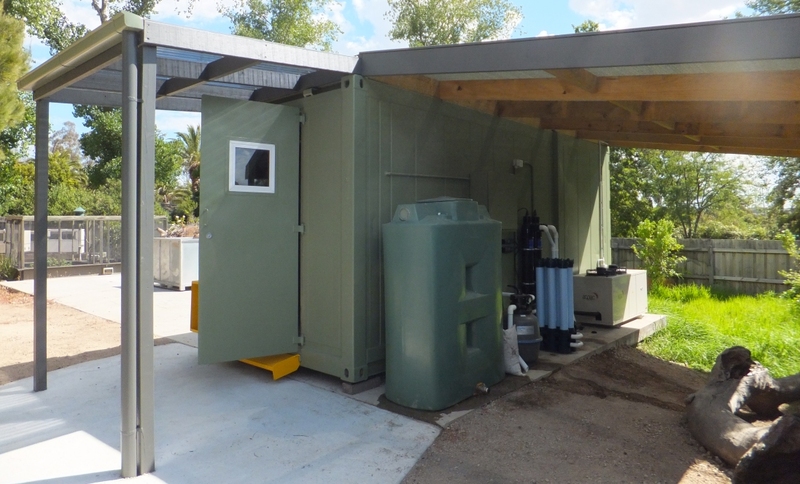 All they need is a concrete pad to sit on and hookup to the local water and electric supplies. 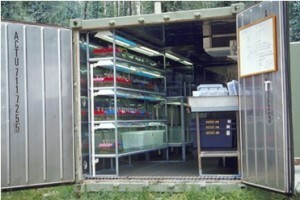 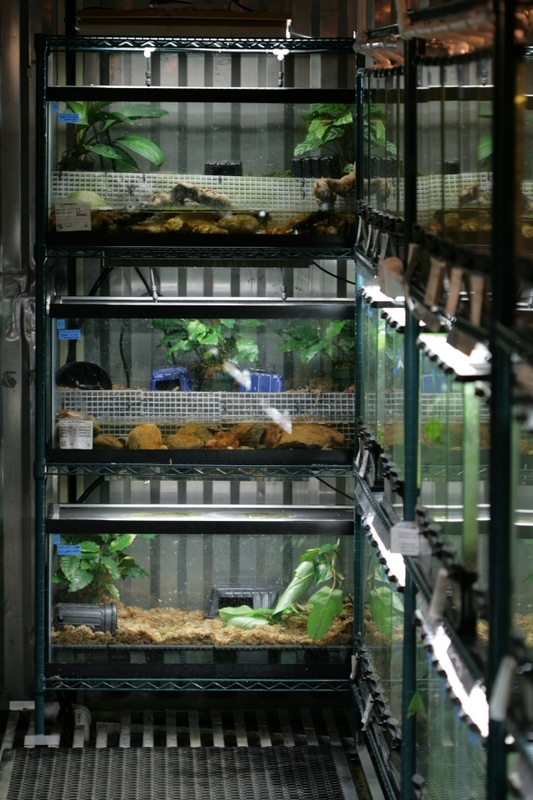 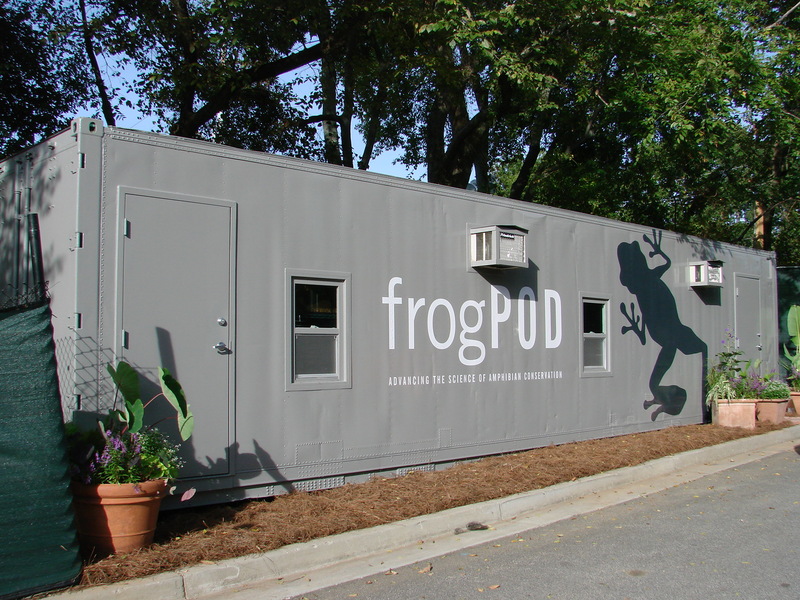 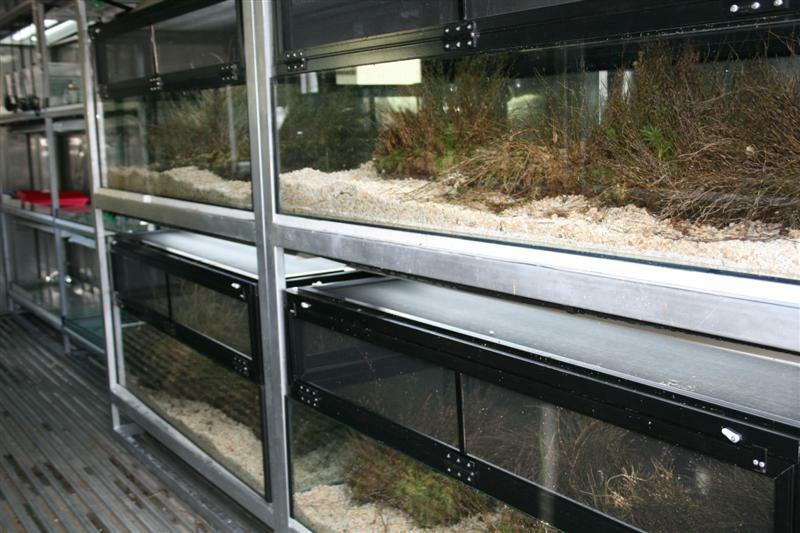 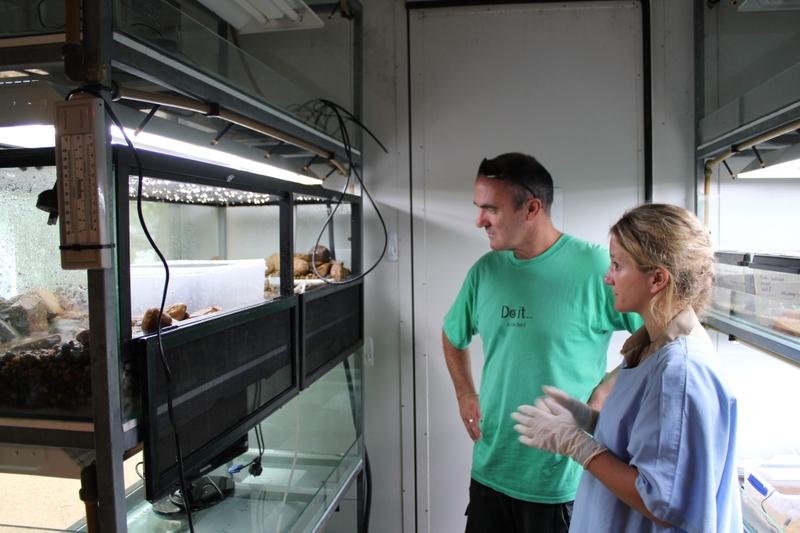 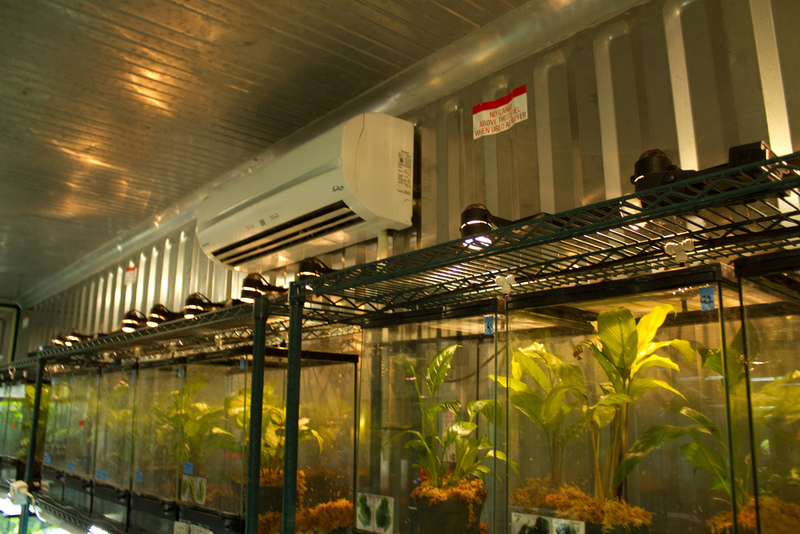 The use of insulated shipping containers for housing amphibians was pioneered by Gerry Marantelli at the Amphibian Research Centre (ARC) in Australia. 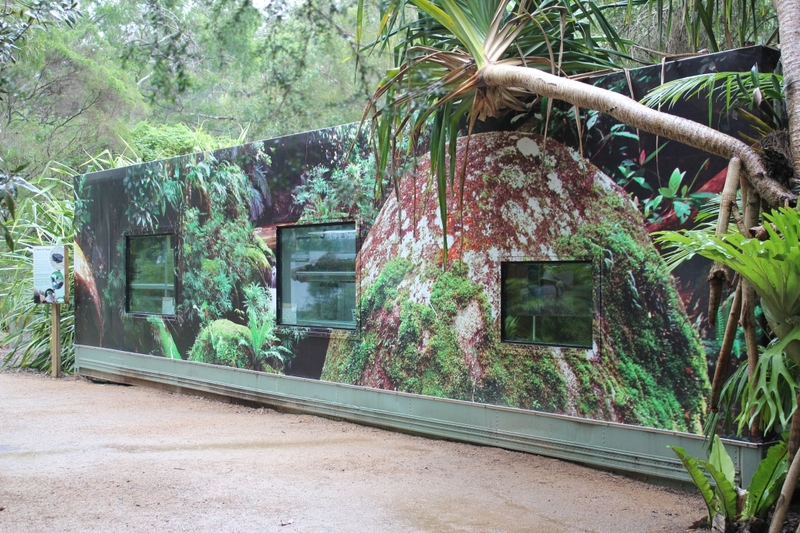 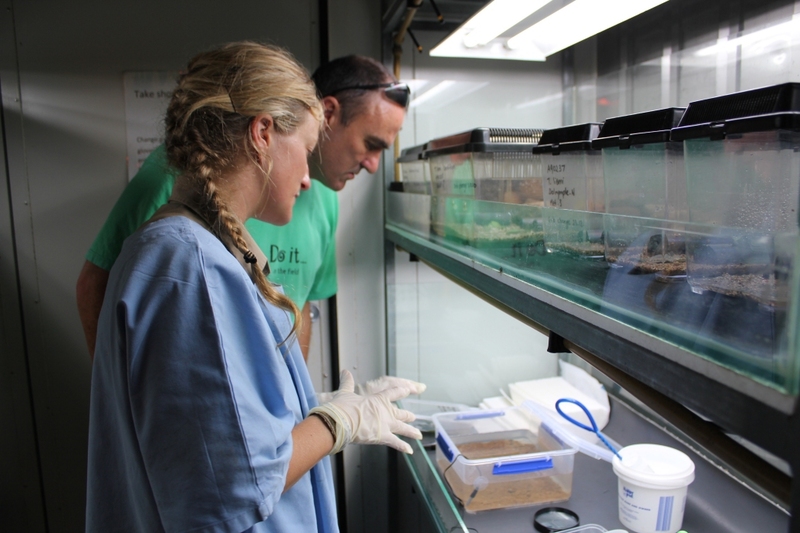 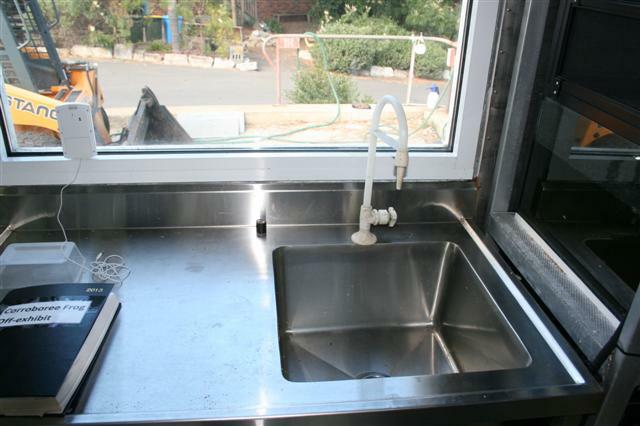 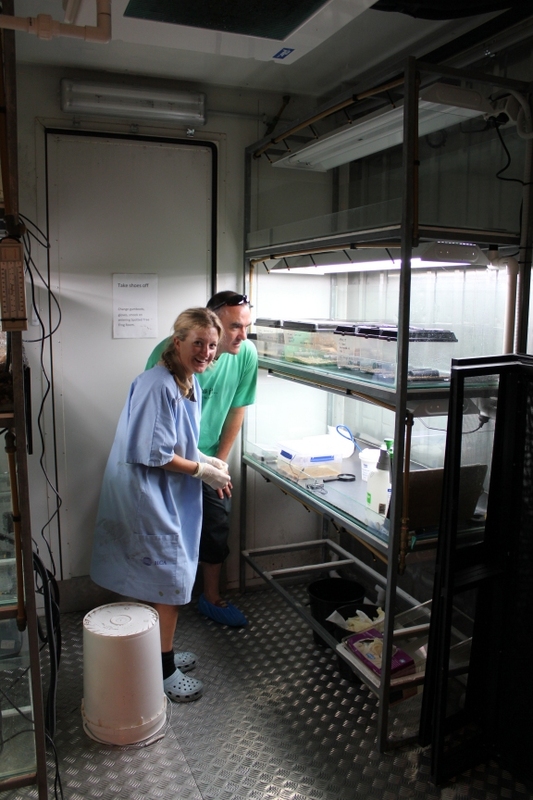 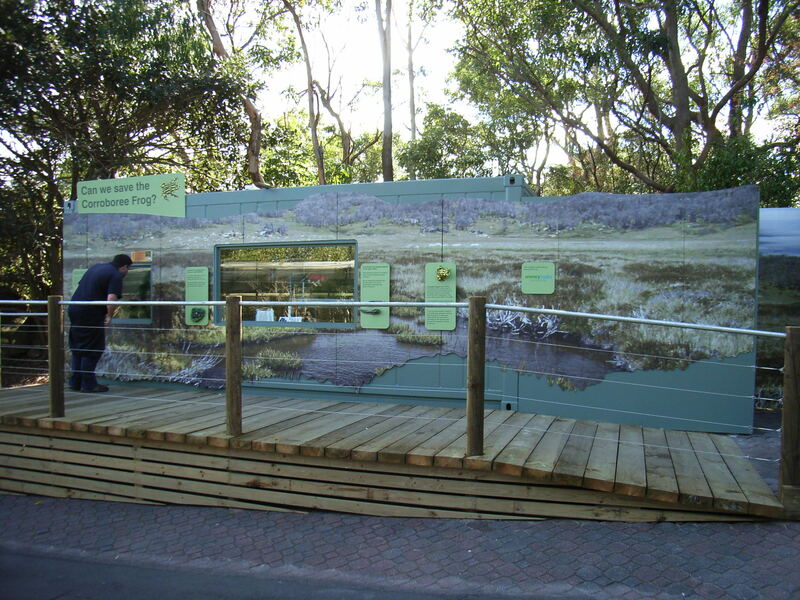 The ARC has modified containers to order and supplied them to other organizations, including, Tidbinbilla Nature Reserve, Taronga Zoo, Chester Zoo, and Durrell Wildlife Conservation Trust. 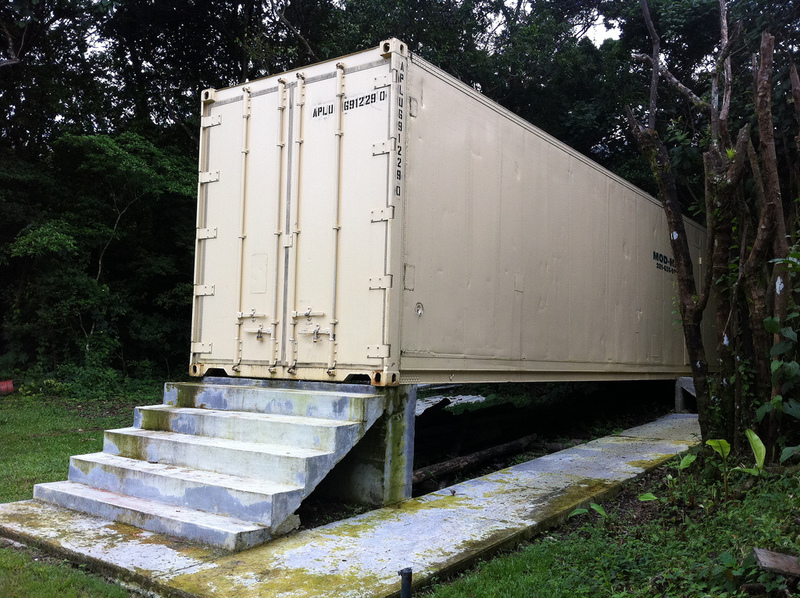 ~US$30,000 for used insulated 8’x8’x40’ (320 ft2) shipping container and modifications to significantly improve the infrastructure and electrical service, upgrade air conditioning unit, add durable/waterproof rubber flooring, etc. 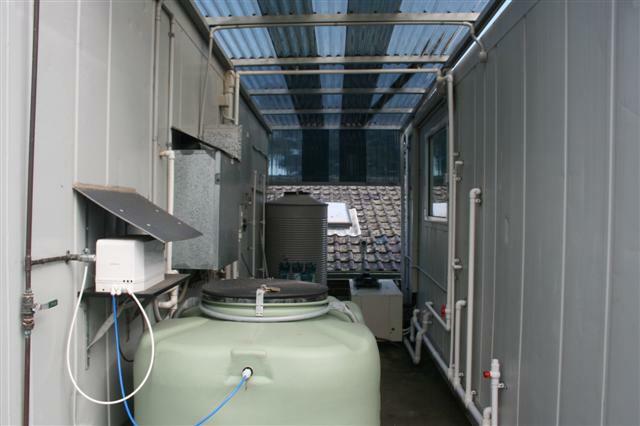 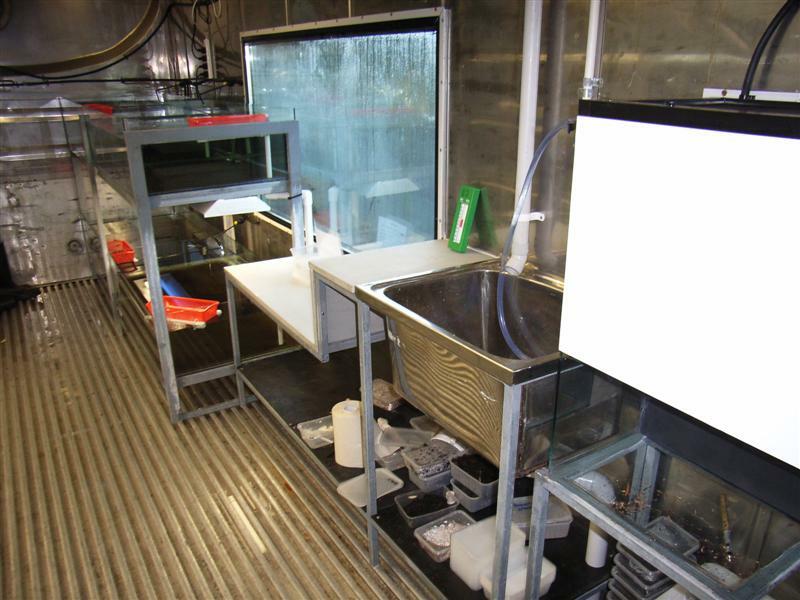 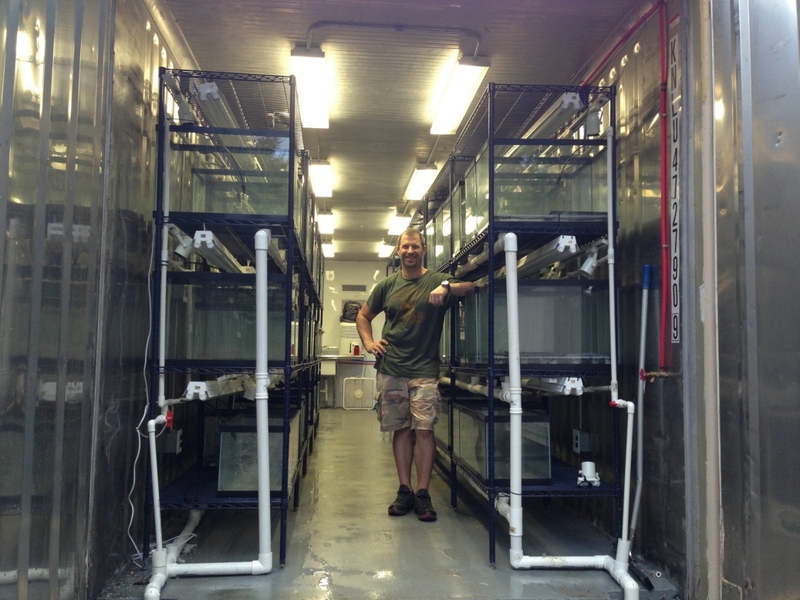 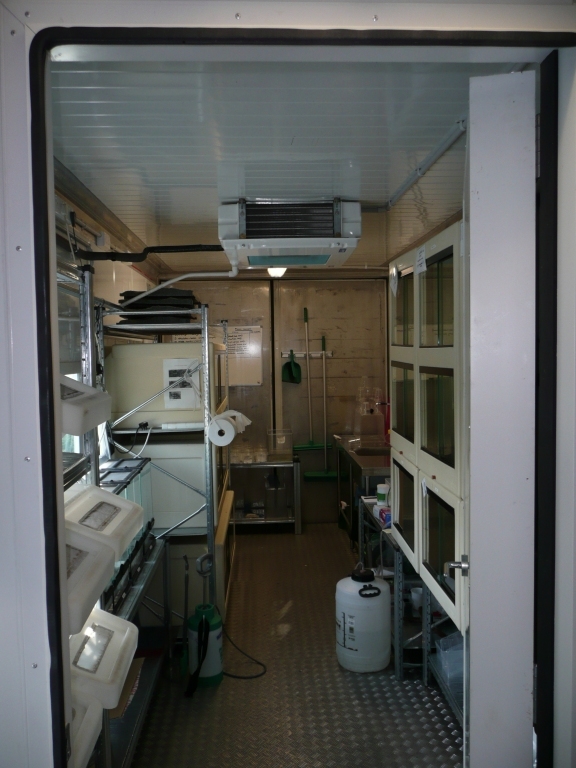 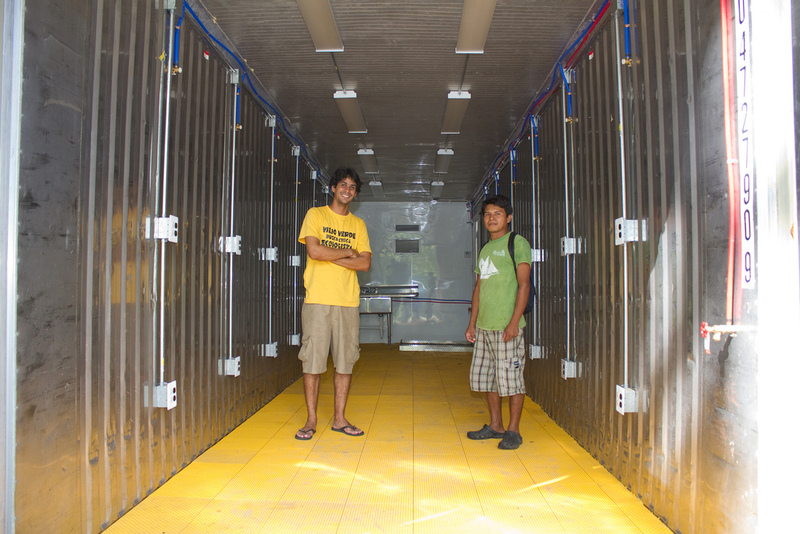 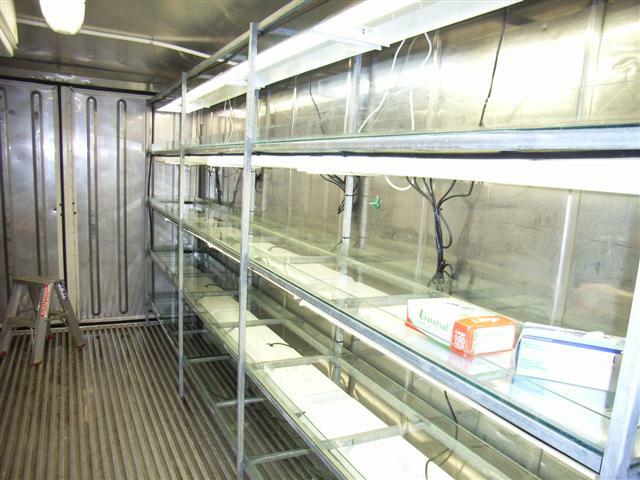 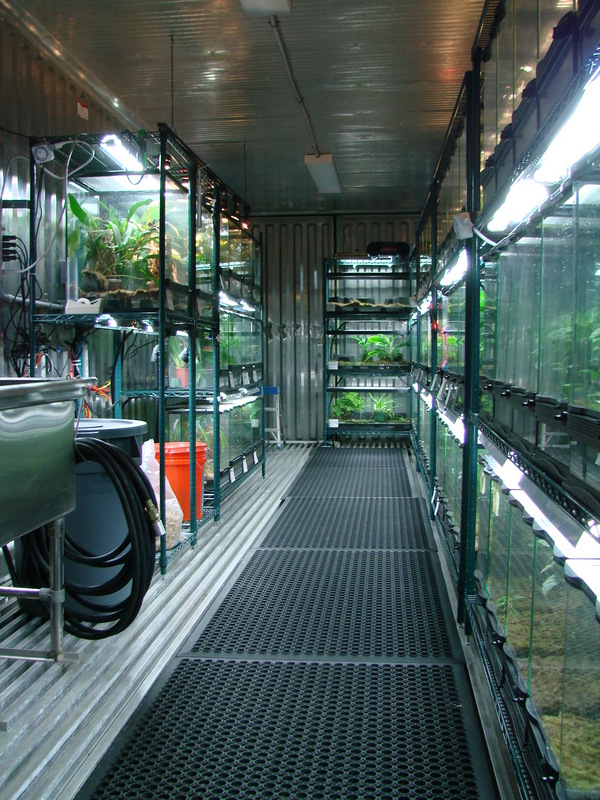 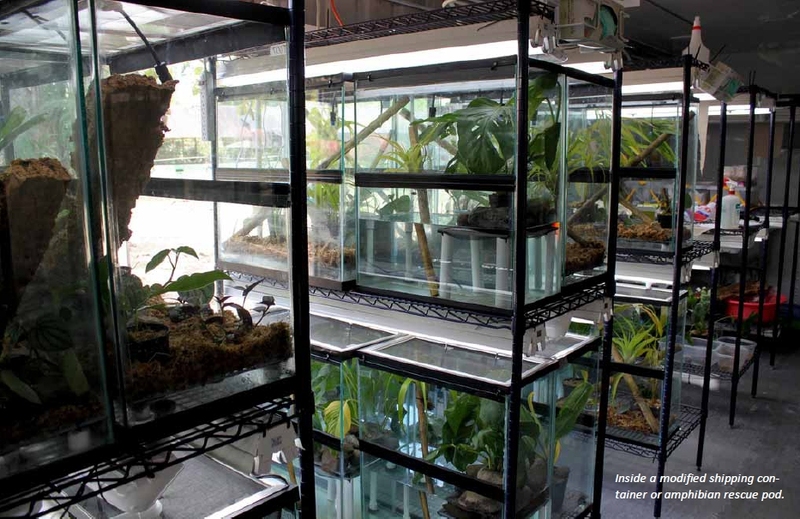 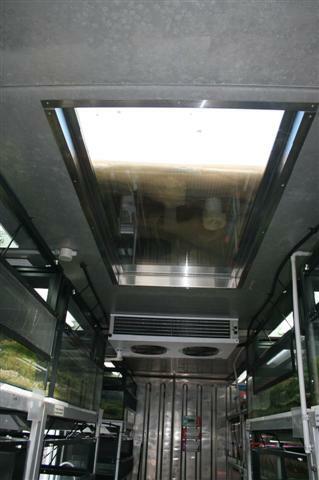 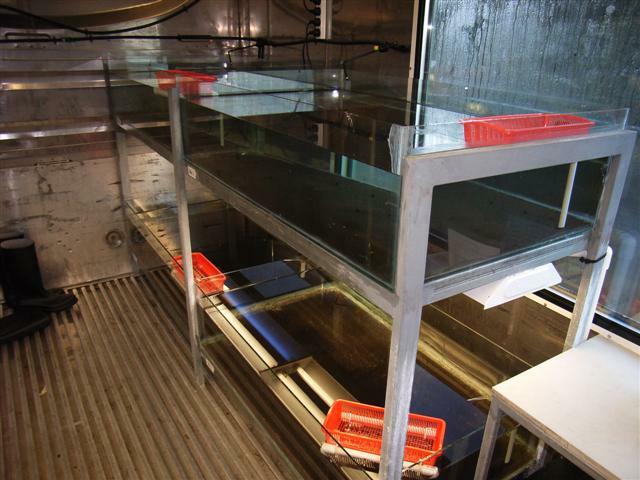 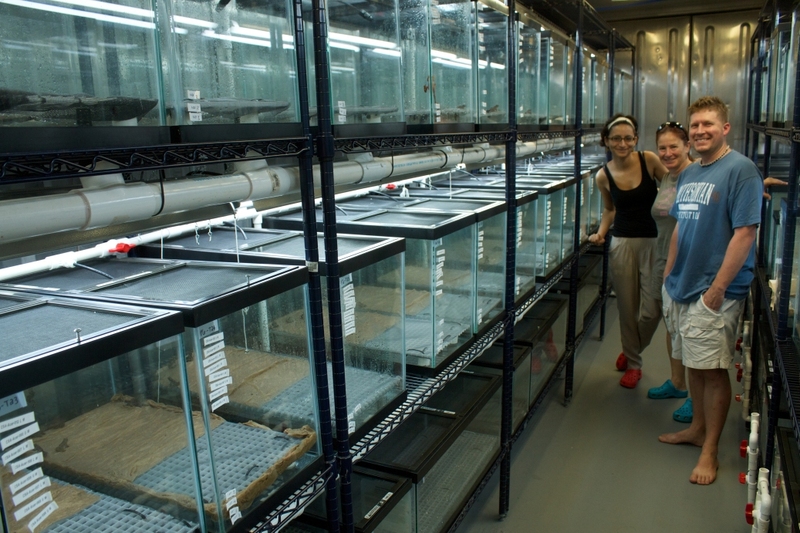 ~USD$10-15,000 for outfitting the container with everything needed for amphibian husbandry (shelves, tanks, lights, filters, mist system), the range allowing for variation in the level of automation and number and size of tanks, complexity of plumbing, etc. 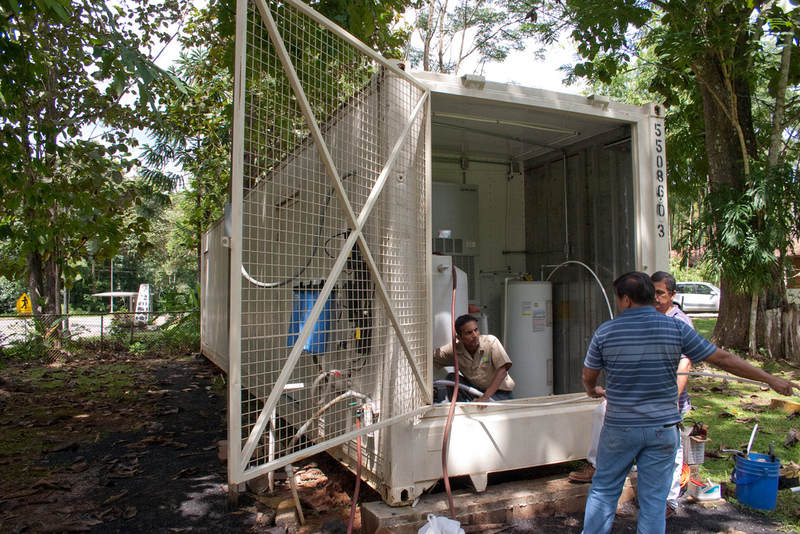 The AArk does not sell or benefit financially from the sale of these containers. 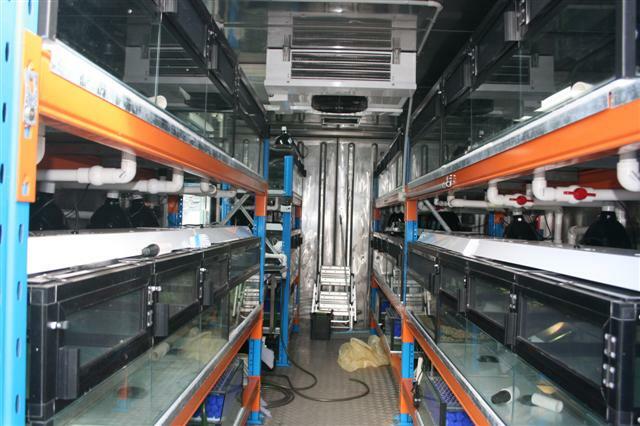 We merely propose that they can be practical in many applications, and our partners are available to discuss their experiences (and vendors) with you. 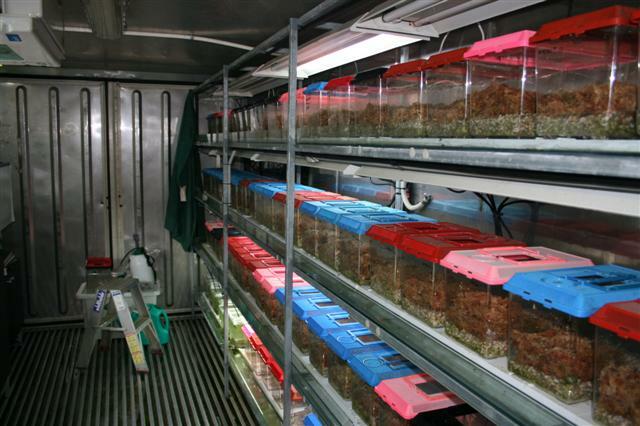 For more information, please contact: Luis Carrillo (Luis@AmphibianArk.org).